If you have not heard of Aquaponics before then you are probably wondering what it is. We have a basic explanation of what Aquaponics is to better grasp the entire concept of the system. Aquaponics is basically the union between aquaculture (the rearing of aquatic animals) and hydroponics (the growing of plants without the soil) that grows fish and plants in a single unified system. 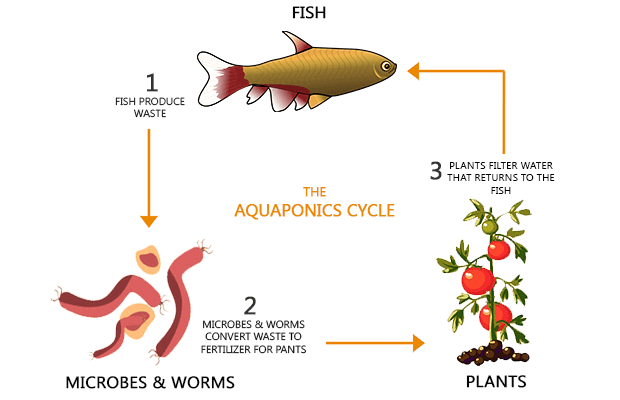 And here’s a 5 ways why Aquaponics is an improvement over hydroponics. The waste of the fish serves as an organic food source for the plants and the plants, in turn, serve as a natural filter for the water to safely keep the fish. The third important elements in an Aquaponics system are the microbes or the nitrifying bacteria as what they call it as well as composting red worms that flourish in your growing bed media. They function to convert ammonia from the fish waste to nitrites and from nitrites to nitrates. They also convert solids to vermicompost that in turn become food for your plants. You can learn more about this in our aquaponics cycling article. With the combination of these two systems, it’s clear to see that Aquaponics takes advantage of the advantages of each system and eliminates the disadvantages. What are the problems with the conventional soil-based gardening? These problems can be solved with Hydroponics; however, Hydroponics in itself has its own fair share of problems. Classic hydroponic systems depend on the meticulous application of costly and synthetic nutrients that are made from the blending together of a mixture of trace elements, salts and chemicals. In an Aquaponics system, you are only feeding your fish with affordable fish feed, some food scraps and the food that you consume or grow yourself. Read also our Aquaponics vs Hydroponics article to know the pros and cons of each system. The strength and potency of this mixture has to be monitored carefully together with its pH level using high-priced meters. If you have an Aquaponics system you only need to carefully monitor your system during its first thirty days. As soon as your Aquaponics system has been established, all there is left for you to do is to assess your ammonia and pH levels on a weekly basis or check to see if your fish or your plants appear stressed. The water found in hydroponic systems are required to be cleared regularly since the chemicals and salts build up over time and this can be very harmful to your plants. Doing so can be very difficult if not inconvenient since you have to consider the location where you will be disposing your waste water. In an Aquaponics system, you will never have to replace your water all you need to do is to top it off whenever it evaporates. Another problem that classic hydroponic systems face is the fact that they are predisposed to certain diseases called root rot or pythium. This particular type of disease does not occur in Aquaponic systems. The tank of a recirculating aquaculture can become polluted with fish waste and this can give off high levels of ammonia. It is for this reason that water needs to be discarded at a rate of ten to twenty percent of its total volume inside the tank every single day. This means you’ll be using a considerable amount of water. Once again, if you are using an Aquaponics system you will never have to discard your water. The discarded water is channeled into open streams and the domino effect continues on as it destroys and pollutes waterways. Since a recirculating aquaculture is an unhealthy milieu for your fish they inevitably become predisposed to diseases and they are often treated with medications like antibiotics. The preponderance of fish disease in an Aquaponic system is very rare which makes it advantageous for your fish and your plants as well. If you do waist-high Aquaponics gardening it will eliminate back strain, weeds and small animal access to your garden. It will recycle resources perceived as waste by other systems. In an Aquaponics system, you won’t have to worry about toxic run-off, which you will experience with aquaculture or hydroponics. Learn also why aquaponics is totally organic in one of our articles 5 Ways Aquaponics is an Improvement Over Hydroponics. In an Aquaponics system, you are only required to use only 1/10th of the water as compared to soil-based gardening and even lesser amounts of water than recirculating aquaculture and hydroponics. Watering is a fundamental aspect of an Aquaponics system. You cannot overwater or underwater it. Another important aspect of an Aquaponics system is fertilizing. Fertilizing is needed but you cannot over fertilize and you should not under fertilize. You will also cut back on gardening chores. Significantly, there are even some gardening chores that are eliminated completely. Your Aquaponics growing has the capacity to concentrate on the pleasurable tasks of feeding your fish and nurturing and harvesting your plants. Most systems use toxic chemical solutions and dirt to grow plants. This isn’t the case if you have an Aquaponics system. In a typical Aquaponic system, you will use very nutritious fish waste containing all the necessary nutrients needed for your plants to grow optimally. Instead of discarding water, your Aquaponics system uses the plants and the media where they grow in cleaning and purifying the water. After cleaning and purifying it, the water is returned to the fish tank. You can reuse the water in the tank indefinitely and the only time you’ll need to replace it is if gets lost through evaporation or transpiration. There are two main ways of Aquaponics growing that are commonly applied today. The Raft-Based Aquaponics Growing System: This system makes use of a foam raft that floats in a channel filled with water that contains fish waste. The water has gone through a filtration process to remove solid wastes. The raft has holes this is where plants are placed so their roots can hang freely beneath the surface of the water. This is the most appropriate technique for growing salad greens and other low-nutrient plants. The Media-Based Aquaponics System: This is the second method wherein plants are grown inert planting media such as coir, expanded clay pellets and gravel. The media gives the ammonia-based waste (biological) and the solid waste (mechanical) filtration. Therefore, this method requires lesser maintenance compared to raft-based systems. 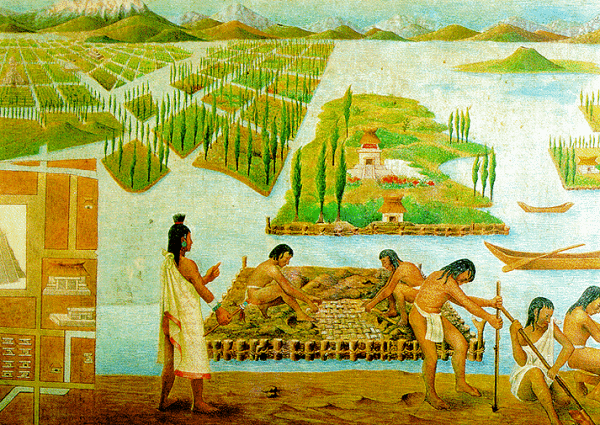 Massive, fruiting plants are grown successfully in this type of system compared to rafts. 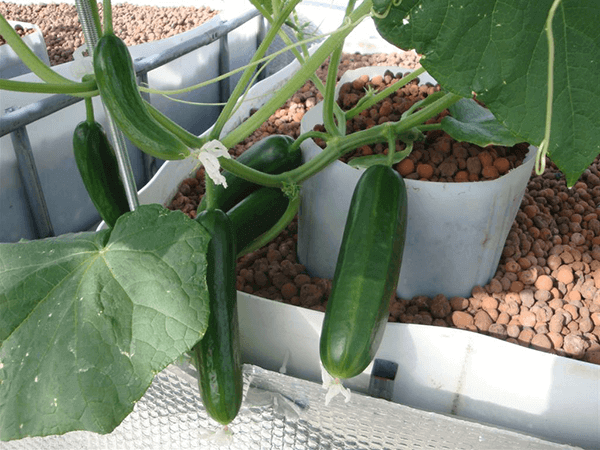 Hybrid Aquaponics: The hybrid Aquaponics is the third method and this method is actually a combination of both the raft-based Aquaponics growing system and the media-based Aquaponics system. In this system, the media beds act as the pre-filter for the solid waste before the water goes into the raft systems. This hybrid system is the main focus of DIY Aquaponics System since it provides high productivity, low maintenance as well as planting flexibility. Modern times Aquaponics came out from the aquaculture industry when fish farmers were looking for ways to raise fish while lowering their reliance on water, land and other resources. 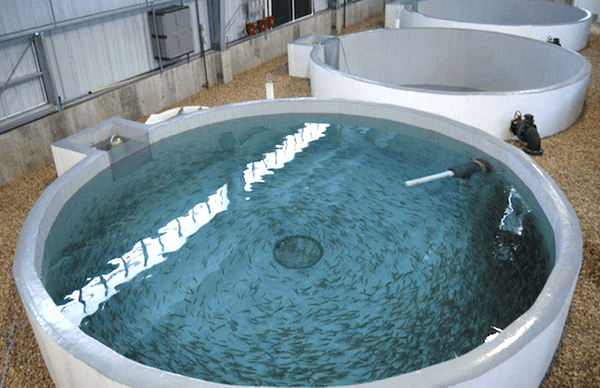 Customarily the fish were raised and kept in netted pens on ocean coastlines and in large ponds but in the last three decades progress has been made in RAS or recirculating aquaculture systems. The nice thing about recirculating aquaculture systems is that fish can be stocked heavily. You can stock a pound of fish for every one gallon of water. Therefore, it uses only a small portion of space and water to grow the same number of fish in netting based systems and in large ponds. The disadvantage though is the significant amounts of waste water that accumulates. There were researches done in the 1970s on using plants as a natural filter. It began with Doctor James Rakocy at the University of the Virgin Islands. 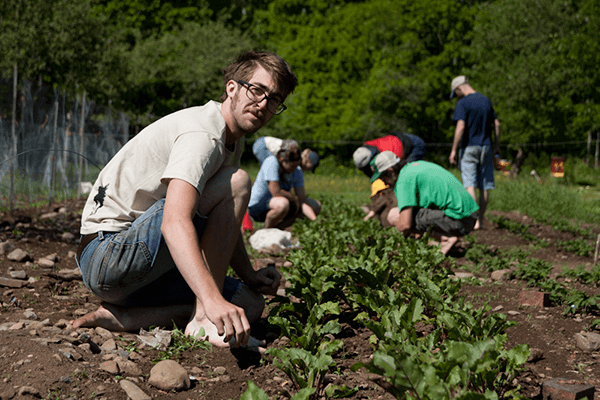 The first ever large-scale commercial Aquaponics facility called Bioshelters is located in Amherst, MA. It was established in the middle of 1980s and is still in operation up to this very day. The origin of home based Aquaponics was in the early 1990s and it was owed to Tom and Paula Speraneo of the S&S Aquafarms located in West Plains, MO. Both Tom and Paula attentively refined a distinct media bed growing technique that was bespoke for smaller systems. They produced a how-to manual that eventually became a springboard to a lot of home-based systems all over the world. There is a growing interest in home Aquaponics in Australia because Aquaponics was found to be a part of a solution to deal with the poor soil conditions and drought that Australians have to constantly deal with. Joel Malcom was the one who led the movement by initiating a popular forum called Backyard Aquaponics. He was also the one who created and sold Aquaponic systems that were designed for homeowners. Murray Hallam of Practical Aquaponics later joined Joel Malcom. Hallma also runs a forum and his is known for his series of interesting DVDs concentrating on Aquaponics. The Aquaponic Gardening Community was founded in January of 2010. This community has long since been the biggest online place for Aquaponics all over North America. The book entitled Aquaponic Gardening created by Sylvia Bernstein was introduced in September of 2011 at the first yearly Aquaponics Association Conference in Florida. It was also at that time that the very first comprehensive guide was made available. It included how to design, build, start and maintain a media-based Aquaponics system. Within thirty days the book Aquaponic Gardening became the best selling book in gardening on Amazon. Furthermore, in less than a year the book was printed 4 times and was able to sell around thirty thousand copies worldwide. At the Aquaponics Association Conference in Florida, the Aquaponics Association was officially formed with Gina Cavaliero of Green Acre Aquaponics as well as Sylvia Bernstein of the Aquaponic Source as the founder and inaugural Chair and Vice Chair. The mission of the Association is to endorse and encourage Aquaponics and to continue holding yearly conferences so that Aquaponics aficionados and practitioners all over the world can gather together every year to trade ideas and learn from one another. Since the Aquaponics Association is boosting their focus on commercial farming, two years ago in August, the first ever Aquaponics Fest was held purposefully for school and home Aquaponics gardeners.